Join Playwright Candace Perry and Joanne Powers for a reading of Perry’s short play, “The Tour.” The story follows two sisters as they negotiate to buy a timeshare in a renovated historic plantation. The reading will be followed by a talkback with the audience and by general conversation and coffee hour at 11:00. A fun, up close and personal way to experience theater in the making. All are welcome. Perry began her playwriting career in 1989 when the Provincetown Theatre Company produced her one act, Keepers. Since then, she’s had more than thirty short plays produced in Provincetown and elsewhere, has written four full length plays, and won some awards. 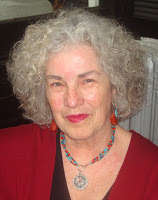 She is a member of the Dramatists Guild and the Provincetown Playwrights’ Lab, and a treasured resident of Wellfleet. Learn more about Candace Perry at http://www.candaceperryplaywright.info/p/main_3.html. This entry was posted in Uncategorized and tagged Candace, Perry, Play, Sunday, The Tour on January 20, 2019 by Judith Whitney-Terry.